I hope my readers will forgive me if this post is somewhat less detailed than the ones I wrote in the past, as up to the very last moment I was not sure I felt up to writing my usual “Best of the Year” piece. However, I have tried my best to comment on the many highlights of a year that – while utterly dismal in terms of global events – was definitely a bumper year for interesting progressive music. In my native Italy, leap years are considered unlucky, and 2016 did nothing to dispel this myth, crammed as it was with global turmoil and high-profile deaths. For prog fans, this year will go down in history for the double whammy of Keith Emerson and Greg Lake’s loss, as well as David Bowie’s passing a couple of days after the release of his Blackstar album. On the other and, while many of the protagonists of prog’s heyday have started leaving this planet, the younger generations – though faced with a world increasingly uncaring about music as an art form – have been forging a path ahead for the progressive genre, often displaying the barest of affiliations to the modes of the past. A few of the names that will appear in this post, as well as in many fans’ lists, have received warm accolades in the “mainstream” press, and are therefore getting exposed to more diverse audiences. In many ways, these artists resemble the original prog generation in their desire to explore and experiment, rather than stick to a tried-and-tested formula as the “retro” acts do. Even if lately my reviewing activity has been almost non-existent, I have kept in touch with new releases through my regular participation in DPRP’s Something for the Weekend? feature. On the other hand, a lot of highly rated 2016 albums have flown directly under my radar, so anyone who wishes to read further should take the absence of a rather large number of prog fans’ favourites into account – as the title of this post makes it quite clear. As usual, I have not had either the time or the inclination (or both) to listen to many of the albums that are prominently featured in many people’s Top 10 (or 20, or 50…) lists, because the amount of music released during the past 12 months under the increasingly broad “progressive” label was nothing short of staggering. And then, in all honesty, my tastes have been steadily drifting away from the traditional prog still enthusiastically embraced by both artists and fans. While I still have a lot of time for the classics, I am constantly on the lookout for modern music that will redefine the prog label without sounding derivative. In this respect, 2016 was like a 12-month Christmas. For this edition, I have decided to adopt a similar format to the one used by my esteemed friend and fellow reviewer, Roger Trenwith, on his excellent Astounded by Sound! blog. In this way, I will still avoid the dreaded (though popular) numbered list, and at the same time make it somewhat easier for my readers to pick out albums. Although the order of appearance may partly reflect my own preferences, all the albums briefly described in the following paragraphs are well worth checking out. I have tried to include all those albums that have impressed me during the past 12 months, (many of which have already been recommended by me or my fellow reviewers on Something for the Weekend?) though obviously there are bound to be omissions for which I apologize beforehand. Links to Bandcamp or other streaming services are provided whenever available. Knifeworld – Bottled Out of Eden (UK) – A real joy from start to finish, as intricate and eclectic as the best vintage prog, Knifeworld’s third release is yet another winner from prog’s other busiest man, the one and only Kavus Torabi. North Sea Radio Orchestra – Dronne (UK) – Another Cardiacs-related effort, the fourth album by the ensemble led by Craig Fortnam is pure class, brimming with ethereal beauty and sterling performances. Bent Knee – Say So (USA) – The third full-length release from the Boston crew led by charismatic vocalist Courtney Swain boasts interesting songwriting and an almost punky edge, tempered by a sort of confessional vibe. Gong – Rejoice! I’m Dead! (Multi-national) – Though Daevid Allen may be gone from this earthly plane, he left his beloved creature in the trusty hands of Kavus Torabi (again! ), who gives the album a modern edge while paying homage to the band’s decades-long history. Gösta Berlings Saga – Sersophane (Sweden) – Released just two weeks before the end of the year, the long-awaited fourth album from the magnificent Swedes (augmented, as usual, by Mattias Olsson) brings 2016 to a close with a bang. 40 minutes of stunningly hypnotic instrumental music by one of the finest bands in the business. Deus Ex Machina – Devoto (Italy) – Another highly awaited comeback from one of Italy’s most distinctive bands, chock full of energy, melody and outstanding performances – though without any Latin in sight. Yugen – Death by Water (Italy) – The iconic Milan-based ensemble led by guitarist Francesco Zago is back with a dense, austere album that demands a lot from the listener. Modern Avant-Prog at its finest. Zhongyu – Zhongyu (USA) – Seamlessly blending jazz-rock, Avant-Prog, Far Eastern music and improvisation, the debut album by Jon Davis’ Seattle-based quintet (featuring three members of Moraine) is a must-listen for lovers of cutting-edge instrumental prog. Richard Pinhas & Barry Cleveland – Mu (Multi-national) – Beautifully atmospheric music performed by a quartet of extremely gifted musicians – guitarists Pinhas and Cleveland plus the extraordinary rhythm section of Michael Manring and Celso Alberti. Mamma Non Piangere – N.3 (Italy) – The triumphant return of the veteran Italian RIO/Avant outfit will put a smile on your face,even if you do not understand the language. Stunning vocal performance from Laura Agostinelli of Garamond. Jeremy Flower – The Real Me (USA) – Carla Kihlstedt lends her vocals and violin to this lovely album from a gifted Boston-based musician. Top-class, surprisingly accessible chamber pop. Finnegan Shanahan – The Two Halves (USA) – A charming, chamber prog-meets-Celtic folk debut for a talented young musician. The Winstons – The Winstons (Italy) – Three established indie musicians from Italy pay homage to early Soft Machine inone of the very few unabashedly retro efforts that actually works. Corima – Amaterasu (USA) – Magma meets punk in the highly anticipated sophomore release of California’s electrifying Zeuhl-ers. Chromb! – 1000 (France) – The Lyon scene is a real treasure trove of great bands exploring the many facets of the Avant universe – as illustrated by Chromb!’s outstanding third album. Ukandanz – Awo (France) – What would happen if you crossed traditional Ethiopian music with RIO/Avant? The answer is Ukandanz –another winner from the seemingly inexhaustible Lyon scene. Herd of Instinct – Manifestation (USA) – Intense and mysterious, yet pervasively melodic, the Texas band’s third album displays a stronger influence from their Djam Karet mentors than their previous releases. Emmett Elvin – Assault on the Tyranny of Reason (UK) – Proudly eclectic (and unexpectedly fun) effort from the man behind the keyboards of modern prog giants Knifeworld, Guapo and Chrome Hoof. French TV – Ambassadors of Health and Clean Living (USA) – Mike Sary’s veteran project’s comeback, recorded with the members of Japanese instrumental band TEE, offers a challenging blend of RIO/Avant and jazz-rock. Jack O’ The Clock – Repetitions Of The Old City I (USA) – The latest effort from Damon Waitkus’ crew confirms their status as purveyors of unique-sounding chamber rock. Luz de Riada – Cuentos y Fabulas 3 (Mexico) – Ramsés Luna’s collective sounds like almost nothing else, though of course fans of Cabezas de Cera will found a lot to love in this album. Nicotina Es Primavera – Animal Cerámico (Argentina) – From the thriving Argentinian scene, sophisticated yet accessible Avant-Prog from an excellent new band. Half Past Four – Land of the Blind (Canada) – The irrepressible Canadians pack more into an EP than many bands in 80 minutes. Quirky, elegant and fun modern prog. Ulver – ATGCLVLSSCAP (Norway) – The mighty Norwegians’ homage to vintage Krautrock is pristinely beautiful. a.P.A.t.T. – Fun With Music (UK) – Just what the title says. Everything-but-the-kitchen-sink eclecticism rules! Ill Wicker – Untamed (Sweden) – Dark, haunting acid-folk inspired by Comus and other Seventies cult bands. Vespero – Lique Mekwas (Russia) – Russia’s answer to Ozric Tentacles deploy their whole arsenal of psych/space rock with intriguing world music touches. Psychoyogi – Shrine (UK) – Short but sweet 2016 release from one of the UK scene’s hidden treasures – a must for “new Canterbury” fans. Simon McKechnie – From My Head to My Feet (UK) – Another lesson on how to add interest and progressive quotient to the song format from one of the genre’s unsung heroes. David Bowie – Blackstar (UK) – Released just before his unexpected passing, Bowie’s swan song is a riveting testimony to his undimmed creative spirit. N.y.X. – The News (Italy) – Darkly Crimsonian vibes abound in the northern Italian trio’s second album. Axon/Neuron – Metamorphosis (USA) – An eclectic double CD for an excellent female-fronted band in the MoeTar vein. iNFiNiEN – Light at the Endless Tunnel (USA) – Third album for another MoeTar-inspired band, with artwork from Tarik Ragab himself. The Stargazer’s Assistant – Remoteness of Light – Mesmerizing, multilayered soundscapes from Guapo drummer David J. Smith. Sternpost – Statues Asleep (Sweden) – Ethereal, sophisticated chamber-pop reminiscent of Robert Wyatt. Yawning Man – Historical Graffiti (USA) – A stunning instrumental “desert rock” album recorded in Argentina from an excellent southern California outfit. Iron Mountain – Unum (Ireland) – Post-rock meets folk-metal in this intriguing instrumental album. Vaults of Zin – Kadath (USA) – HP Lovecraft-inspired Avant-Zeuhl-Metal. Thank You Scientist – Stranger Heads Prevail (USA) – Energetic prog-pop from New Jersey’s wrecking crew. The Mercury Tree – Permutations (USA) – Intricate, guitar-based modern prog from a band in constant development. Edensong – Years in the Garden of Years (USA) – The long-awaited second album from the New Jersey band will not disappoint fans of hard-edged prog. Shamblemaths – Shamblemaths (Norway) – Ambitious debut from another promising Norwegian outfit – eclectic prog at its finest. Seven Impale – Contrapasso (Norway) – A darker, more intense follow-up to their highly praised debut. Disen Gage – Snapshots (Russia) – Eclectic, guitar-based instrumental prog with a playful edge. Factor Burzaco – 3.76 (Argentina) – New versions of older material from Argentina’s leading Avant-Prog outfit. Bubu – Resplandor (Argentina) – A short but highly satisfying comeback from a band that fully deserves its cult status. Griot – Gerald (Portugal) – The concept album reinterpreted in modern art-rock terms. Mothertongue – <em>Unsongs (UK) – Exhilarating, brass-led progressive pop. Afenginn – Opus (Sweden) – Haunting Scandinavian prog-folk. Violeta de Outono – Spaces (Brazil) – Psych-space meets Canterbury with a South American flavour. The Observatory – <em>August Is the Cruellest (Singapore) – Moody, melancholy post-rock inspired by T.S. Eliot’s poetry. Macroscream – Macroscream (Italy) – The second album of this Roman six-piece hovers between tradition and quirkiness. Il Rumore Bianco – Antropocene (Italy) – RPI with an edge for the full-length debut of this band from Verona. Syndone – Eros e Thanatos (Italy) – Cinematic RPI with echoes of Van Der Graaf. Mad Fellaz – II (Italy) – For fans of the jazzier, funkier side of Italian prog. Alex’s Hand – Künstler Sch***e (USA) – Another Avant-punk opus from the Seattle crew. Horse Lords – Interventions (USA) – African-inspired polyrhythms and a saxophone that sounds just like a guitar. Oh my! Za! – Loloismo (Spain) – A percussion-driven mix of styles with an almost tribal flair. Goat – Requiem (Sweden) – African rhythms (again!) meet psychedelic rock with interesting results. Sparkle in Grey – Brahim Izdag (Italy) – A celebration of multiculturalism through rock, electronics and a lot more. Savoldelli/Casarano/Bardoscia – The Great Jazz Gig in the Sky (Italy) – One of the most brilliant ideas ever for a tribute album. Jazz and Dark Side of the Moon are a match made in heaven! Tiles – Pretending 2 Run (USA) – The ambitious return of the Detroit heavy proggers is a double CD package put together with the utmost care. Sonus Umbra – Beyond the Panopticon (USA) – Heavy yet melodic, atmospheric comeback from the Chicago-based septet led by Luis Nasser. Matthew Parmenter – All Our Yesterdays (USA) – A collection of classy, deeply emotional songs from Discipline’s mainman. iamthemorning – Lighthouse (Russia) – Ethereal and delicate offering from the highly-regarded Russian duo. Marbin – Goat Man and the House of the Dead (USA) – Eclectic, high-energy fusion from one of the progressive scene’s busiest bands. Stick Men – Prog Noir (Multi-national) – Waiting for King Crimson to release some new material, here is a feast for lovers of touch guitars and intricate polyrhythms. Moulettes – Preternatural (UK) – Mythical creatures inspire this slice of exciting, hyper-eclectic “wonky pop”. The Sea Nymphs – On the Dry Land (UK) – The second of the “lost” albums by Cardiacs’ spin-off trio is elegiac and whimsical. Bob Drake – Arx Pilosa (USA/France) – A collection of bite-sized Avant-Pop songs from one of Thinking Plague’s founders. Free Salamander Exhibit – Undestroyed (USA) – The much-anticipated return of some former members of Sleepytime Gorilla Museum hits all the right buttons. Three Trapped Tigers – Silent Earthling (UK) – Hypnotic yet surprisingly melodic take on math-rock. Although, as I pointed out in the introduction, in my list there are quite a few of what the average prog fan would consider glaring omissions, I believe that the majority of the music mentioned above has the potential to appeal to anyone but the most hidebound listeners. It might not be “your father’s prog”, but it is definitely worth a try if you want to expand your musical horizons – and support a bunch of highly deserving artists (and the independent labels that keep up the good work in spite of all the setbacks) in the process. Before I bring this rather lengthy post to a close, I would like to spend a few words on the question of reviews, or lack thereof. As much as I would love to start reviewing again on a regular basis, I do not see myself resuming that activity – which was of great comfort to me in difficult times – on the scale of the earlier years of this decade. In a person’s life there is probably a time for everything, and my career as a reviewer was probably fated to be a short (though intense) one. I will keep this blog alive on behalf of the many bands and artists whom I wrote about in the past few years, and for publishing the occasional piece like this one. However, I believe it is time to pass the torch to other reviewers, who are much more prolific and reliable than I have been since 2013 or so. I will keep up my contributions to Something for the Weekend? as a means of spreading the word about new music, as well as occasionally adding some band to the ProgArchives database. In the meantime, while we wait for the first 2017 releases, I hope my readers will discover at least one new band or solo artist by browsing my suggestions. Happy listening, and a great 2017 to everyone! Because of its geographical location, Seattle, the Emerald City, looks towards Asia as much as it does towards the American continent. Therefore, it is not surprising to find artists that draw their inspiration not only from Western sources, but also from the rich musical tradition of the East. A few years ago, I had the opportunity to review Dennis Rea’s beautiful solo album View from Chicheng Precipice, informed by his four-year experience in China and Taiwan. Now it is the turn of Zhongyu, the quintet formed by multi-instrumentalist Jon Davis (who spent three years in Beijing in the first decade of the 21st century), together with Rea and his fellow Morainians Alicia and James DeJoie, as well as drummer Randy Doak. With the glut of “progressive” albums released every day, and the high level of quality of this year’s average release, an album such as Zhongyu’s eponymous debut is highly at risk of flying under the radar. A labour of love, many years in the making – as emphasized by the band’s name, meaning “finally” in Mandarin Chinese, Zhongyu deserves much more attention than it has received so far, a few months after its release on NYC-based Moonjune Records. Recorded and mixed by legendary Seattle engineer Steve Fisk, the album is introduced by artwork clearly inspired by Chinese propaganda posters, though interpreted with a humorous twist: the uniformed woman is armed with a guitar, and surrounded by flowers and butterflies in a sort of “make music, not war” context. As hackneyed as the “East meets West” phrase may be, I believe there is no better description for an album that marries free-jazz improvisation and progressive rock with traditional Chinese music – the lilting sound of the zither-like guzheng (often played by Davis with a bow) elegantly blending with state-of-the-art electronics, gritty guitar, deep-voiced baritone sax, soothing flute and soaring violin. This fusion of apparently very different elements works surprisingly well, weaving atmospheres at the same time ethereal and intense. Zhongyu’s bookends, “Apple of My Mind’s Eye 2” and “All Food Comes From China” (yes, the titles are punny and creative – another bonus point in my book), explore this territory in different ways – the former merging spacey effects with a heady melody produced by guzheng manipulated in various ways, the latter achieving a seamless combination of acoustic, electric and electronic elements. The 8-minute “Hydraulic Fracas” perfectly embodies the spirit of the album, with the flute’s Eastern flavour contrasted to the electric guitar darkly reverberating in the background. “Iron Rice Bowl Has Rusted” pairs guzheng and flute in a delicate, ethereal texture, while in the haunting “Half Remembered Drowning Dream” gentle chimes enhance the sound of the ethnic instrument. “Sleepwalking the Dog” is a textbook example of modern jazz-rock emphasizing ensemble playing rather than individual prowess, particularly the essential synergy between sax and violin. On the other hand, the almost improvisational, free-jazz bent of “Tunnel at the End of Light” reminded me of Rea’s defunct project Iron Kim Style, while Moraine (and King Crimson circa Starless and Bible Black) are evoked in the riveting “Torture Chamber of Commerce”, where melody and dissonance clash and coexist. Besides Zhongyu’s obvious musical charms, it was a pleasure for me to review an album by a band whose main creative force is a fellow reviewer as well as a gifted musician. I have often read and appreciated Jon Davis’ writings on Exposé magazine, and am glad to have had the opportunity of expressing my opinion on his music. In any case, I count Zhongyu among one of this bumper year’s top releases, highly recommended to lovers of instrumental progressive rock – especially those who value the cross-fertilization of Western and Eastern musical traditions. First off, I feel the need to apologize to my readers for the string of rather depressing titles given to my “Year in Review” posts. No matter how optimistic I try to be at the beginning of a new year, life always finds a way to disappoint my expectations. 2015, though, was special – for all the wrong reasons. Even now that things are going somewhat better (though far from ideal), I still occasionally feel the urge to withdraw from everyone – hence the not exactly uplifting title of this piece. This sorry state of affairs obviously impacted my inspiration as regards writing reviews and the like. My blog was neglected for most of the year, with only 9 posts in 12 months, and the few label owners who regularly sent me their material took me off their mailing lists – which contributed to my feelings of isolation, even if I cannot blame them for that. Music remained nevertheless a constant source of comfort, thanks to the ready availability of new (and not so new) material on streaming services such as Progstreaming and Bandcamp. This allowed me to listen to most of the albums I was interested in, and keep in touch with a scene that I have been steadily supporting for the past few years. Some days I had to force myself to listen, but thankfully things got easier with time. Although full-length reviews were thin on the ground, I kept up my collaboration with Andy Read’s excellent weekly feature Something for the Weekend?, as well as my activity as a member of the RIO/Avant/Zeuhl genre team (also known as ZART) at my “alma mater”, ProgArchives. In the second half of the year i was able to resume writing longer reviews, not only for my blog, but also for DPRP – though not yet on a regular basis. On the other hand, our concert attendance hit an all-time low. To be fair, ProgDay 2015’s extremely high level of quality more than made up for the many other gigs that we ended up missing. The only other show we attended was The Muffins’ one-off performance at the Orion Studios in mid-May, which unfortunately I was unable to enjoy as much as it would have deserved. As usual, the amount of new music released in 2015 under the ever-expanding “prog” umbrella was staggering, and required a rather selective approach. The year just ended further proved that the scene is splintering in a way that, while it may help people more effectively to find music that appeals to their tastes, may also in the long run cause harm – especially as regards the live scene. Festivals in the US have further shrunk in number, with the cancellation (and apparent demise) of the NJ Proghouse Homecoming Weekend leaving only ROSfest and ProgDay still standing. Europe seems to be faring somewhat better (though one has to wonder how long this will last), and festivals appealing to a broad range of tastes within the prog spectrum continue to be reasonably well-attended. On a positive note, websites dedicated to prog are going strong, as is the rather controversial Prog magazine (whose fan I am definitely not). It remains to be seen if what has always been a niche market (even in the Seventies, when bands that enjoyed commercial success were just the tip of a very large iceberg) will be able to keep up with such a vast output in the following years. In some ways, as I also observed in last year’s post, going underground has freed progressive rock from the constraints of appealing to market tastes, but (in my view at least) the opportunity for almost everyone to produce an album and put it on Bandcamp or Soundcloud poses a lot of questions as regards quality control. Some of my readers will undoubtedly notice the absence of some of the year’s higher-profile releases. As I did last year, I decided to avoid mentioning albums I had found disappointing or just plain uninteresting, as well as those I have not yet managed to hear. A lot of other people have mentioned those albums in their own Year in Review pieces, and I think there is no use in pointing out the negative instead of concentrating on the positive. Compared with some of the previous years, 2015 started out in rather low-key fashion, with many highly anticipated releases concentrated in its second half. On the other hand, the first part of the year brought albums that are very well worth checking out, though they may never enjoy the status of other discs. It was also a year that, while prodigal with very good releases, mostly lacked genuine masterpieces. On the whole, I feel I have just scratched the surface, as perusing the myriad of Best of 2015 lists published on the web constantly reveals some album I have not heard of before. As I mentioned in last year’s post, my tastes have been steadily moving away from “standard” prog, though a few albums that qualify as such have been included here. In fact, my personal #1 album of the year was released by a band that first got together in the late Seventies, and is probably closer to “conventional” prog than people would expect from me. However, Hands’ masterful Caviar Bobsled is a unique album that does not really sound like anything else, definitely fresher and more modern than a lot of highly praised albums by artists who have been active for a much shorter time. Having promoted US prog for a while now, I am glad to report that the American scene produced some fine specimens over the past few months – with the NY/NJ region being again very much in evidence. Brilliant releases from The Tea Club (Grappling), 3RDegree (Ones & Zeros Vol. 1) and Advent (Silent Sentinel) highlighted the work of bands that have reached full maturity in terms of musicianship and compositional flair. To this outstanding trio I would also add Echolyn’s I Heard You Listening (more of a slow grower than their career-defining 2012 album) IZZ’s stylish Everlasting Instant, as well as a couple of well-crafted albums with a more traditional bent, both recommended to keyboard lovers – Kinetic Element’s sophomore effort, Travelog, and Theo’s debut, the dystopian concept The Game of Ouroboros. All of the above-mentioned albums offer plenty of sophisticated music with great melodic potential, standing at the crossroads between tradition and modernity. The contemporary US scene, however, is also rife with cutting-edge artists that constantly challenge the perceptions of their intended audience. Works such as Upsilon Acrux’s highly charged Sun Square Dialect, the hypnotic math-rock of Battles’ La Di Da Di, Stern’s gloomily haunting Bone Turquoise, The Nerve Institute’s idiosyncratic Fictions (containing previously unreleased material), Ben Levin Group’s “pronk” opus Freak Machine (featuring most members of Bent Knee), Jack O’The Clock’s Outsider Songs (a collection of quirky covers), and Andrew Moore Chamber Works’ intriguing debut Indianapolis (steel drums meet chamber rock) proved the vitality of the US avant-garde scene. Thinking Plague (whose new album is expected in 2016), reissued their seminal debut, In This Life, while two albums involving previous or current members of the band – Ligeia Mare’s Amplifier and +1’s Future Perfect (the latter one of the many projects of keyboardist/composer Kimara Sajn) – helped to make the wait more bearable. Another fine Avant-related album (though in a more song-based vein), Omicron, came from former Alec K Redfearn and the Eyesore’s vocalist, Orion Rigel Dommisse. New, highly eclectic releases by “jazzgrass proggers” Galactic Cowboy Orchestra (Earth Lift) and Yes-meets-country trio Dreadnaught (the EP Gettin’ Tight With Dreadnaught), Marbin’s fiery Aggressive Hippies, Djam Karet’s supremely trippy Swamp of Dreams, Fernwood’s delightful acoustic confection Arcadia, Mammatus’s monumental stoner-prog opus Sparkling Waters, and ethereal chamber-folk duo Fields Burning’s eponymous debut also illustrated the versatility of a scene that is all too often associated with heavily AOR-tinged music. On the other side of the Atlantic, the British scene has been experiencing a renaissance in terms of creative modern progressive rock. Top of the heap, and definitely one of the best 2015 releases as far as I am concerned, were two Cardiacs-related albums: William D. Drake’s superb Revere Reach, one of those rare discs that are impossible to label, as well as being a delight from start to finish, and Guapo’s hypnotic, surging Obscure Knowledge. Thieves’ Kitchen’s stately, poignant The Clockwork Universe, with its original take on “classic” prog modes, completed my personal trinity of top 2015 British releases. The runners-up, however, are all quite deserving of attention from discerning prog fans. Richard Wileman’s über-eclectic Karda Estra regaled its followers with a whopping three releases – the full-length Strange Relations (recorded with the involvement of The Muffins’ drummer extraordinaire Paul Sears), and the EPs The Seas and the Stars and Future Sounds (the latter also featuring Sears). Guitarist Matt Stevens’ The Fierce and the Dead made a comeback with the intense EP Magnet, and A Formal Horse’s second EP, Morning Jigsaw, provided a British answer to Bent Knee and MoeTar. John Bassett (of Kingbathmat fame) produced an exciting follow-up (simply titled II) to the 2014 debut of his instrumental, stoner-prog solo project, Arcade Messiah; in a similar vein, the cinematic psych/space of Teeth of the Sea’s Highly Deadly Black Tarantula. To further prove that the modern British prog is definitely not steeped in nostalgia, Colin Robinson’s Jumble Hole Clough brought us more of his quirky, electronics-infused antics with A List of Things That Never Happened, and Firefly Burning a heady dose of drone-folk with their latest effort, Skeleton Hill. Plenty of great music also came out of continental Europe. From Scandinavia, one of the year’s most eagerly anticipated albums – Anekdoten’s Until All the Ghosts Are Gone – delivered amply in the quality stakes, as did the scintillating electro-jazz of Jaga Jazzist’s Starfire, Pixel’s warmer, more organic Golden Years, the rambling, keyboard-based jazz-rock of Hooffoot’s debut, Agusa’s space-rock workout Två, the quirky Avant-Prog of Simon Steensland’s A Farewell to Brains, Necromonkey’s all-electronic extravaganza Show Me Where It Hertz, and another long-overdue comeback – Dungen’s sunny Allas Sak – as well as guitarist Samuel Hällkvist’s highly original effort Variety of Live, recorded with an international cast including Pat Mastelotto and Richard Barbieri. Dungen’s guitarist, Reine Fiske, also appeared on elephant9’s highly praised Silver Mountain – the only album mentioned here that I have not yet managed to hear. Heading east, the intriguing, though not widely known, Russian scene produced the haunting psychedelic rock blended with shamanistic chanting of Ole Lukkoye’s Dyatly, The Grand Astoria’s ambitious crossover The Mighty Few, and the lush symphonic-Avant of Roz Vitalis’ Lavoro d’Amore. The thriving French scene presented Avant fans with Unit Wail’s psyche-Zeuhl opus Beyond Space Edge, Ni’s electrifying Les Insurgés de Romilly, Ghost Rhythms’ elegant Madeleine, and Alco Frisbass’ Canterbury-inspired debut. Switzerland, on the other hand, seems to have become a hotbed for all forms of “post-jazz”, with two outstanding Cuneiform releases – Schnellertollermeier’s exhilarating X, and Sonar’s more understated Black Light – as well as Ikarus’ Echo and Plaistow’s Titan. Germany brought the omnivorous jazz-metal of Panzerballett’s Breaking Brain, and Belgium Quantum Fantay’s pulsating space trip Dancing in Limbo. From the more southern climes of Greece and Spain came Ciccada’s lovely, pastoral sophomore effort, The Finest of Miracles, the intriguing Mediterranean math rock of El Tubo Elástico’s eponymous debut, and Ángel Ontalva’s sublime, Oriental-tinged Tierra Quemada. Italy, as usual, did its part, turning out a panoply of albums of consistently high quality. Fans of the classic RPI sound found a lot to appreciate in La Coscienza di Zeno’s third effort, La Notte Anche di Giorno, Ubi Maior’s ambitious Incanti Bio-Meccanici, and also the harder-edged Babylon by VIII Strada. Not A Good Sign’s comeback, From A Distance, combined Italian melodic flair and Crimsonesque angularity, while Pensiero Nomade’s Da Nessun Luogo introduced haunting female vocals into jazzy/ambient textures. The very title of Slivovitz’s All You Can Eat illustrated the boisterous eclecticism of the Naples-based outfit, and feat.Esserelà’s classy debut Tuorl was a welcome addition to the ranks of modern jazz-rock. 2015 was a great year for fans of the Canterbury sound, witnessing the release of the third installment of the Romantic Warriors documentary series (aptly titled Canterbury Tales) just a few months after the passing of Daevid Allen, one of the scene’s most iconic figures. Moreover, two outstanding Canterbury-related albums came from two vastly different parts of the world: Blue Dogs, the debut by Manna/Mirage, The Muffins’ Dave Newhouse’s new project, and Sicilian outfit Homunculus Res’ brilliant second album, Come Si Diventa Ciò Che Si Era (with Newhouse guesting on the epic “Ospedale Civico”). The latter is one of the finest 2015 releases from my native Italy, a distinction shared with the supremely elegant chamber-rock of Breznev Fun Club’s second album, Il Misantropo Felice (both albums were released on the ever-reliable AltrOck Productions label), and with OTEME’s beautiful comeback, L’Agguato. L’Abbandono. Il Movimento. AltrOck (whose 2016 schedule looks mouthwatering, to say the least) is also responsible for two of the year’s most distinctive albums: the ultra-eclectic, vocal-based Everyday Mythology by Loomings, a French-Italian ensemble put together by Yugen’s Jacopo Costa, and multinational quintet Rêve Général’s stunning debut Howl (the latest endeavour by former Etron Fou Leloublan drummer Guigou Chenevier). Another debut related to the original RIO scene came with Logos, by English-based quartet The Artaud Beats, featuring drummer Chris Cutler and bassist John Greaves; while Stepmother’s wacky, Zappaesque Calvary Greetings spotlights another multinational outfit, which includes legendary drummer Dave Kerman. Though in 2015 the latest incarnation of King Crimson released Live at the Orpheum (recorded in LA during their 2014 US tour), there seems to be hardly any new material in sight from the legendary band. Luckily, last year brought a few KC-related albums that are well worth exploring – especially for those who favour the band’s harder-edged output: namely, Pat Mastelotto’s new trio KoMaRa’s dark, gritty self-titled debut (with disturbing artwork by Tool’s Adam Jones), Chicago-based math-rock trio Pavlov3 (featuring Markus Reuter) with Curvature-Induced Symmetry…Breaking, and Trey Gunn’s haunting, ambient-tinged The Waters, They Are Rising. Other, less widely exposed countries also yielded a wealth of interesting music during the past year. Out of Chile (one of the most vital modern prog scenes) came the good-time Avant-Prog of Akinetón Retard’s Azufre; while, on the other side of the Pacific, Indonesia continues to produce high-quality music, brought to light by Moonjune Records’ irrepressible Leonardo Pavkovic. Guitar hero Dewa Budjana’s Hasta Karma and Joged Kahyangan , and keyboardist Dwiki Dharmawan’s So Far, So Close showcase the unique fusion of Western jazz-rock and the island nation’s rich musical heritage. No 2015 retrospective would be complete without a mention of the many losses sustained by the music world during the past year. The passing of legendary Yes bassist and founder Chris Squire was undoubtedly a traumatic event for prog fans, while the demise of heavy rock icon (and former Hawkwind member) Lemmy a few days before the end of the year was mourned by the rock community at large. Though, of course, the heroes of the Seventies are not getting any younger, neither of these seminal figures was old for today’s standards – unlike jazz trumpeter Ornette Coleman and bluesman B.B. King, who had both reached respectable ages. As I stated at the beginning of this post, most of the music I have recommended would not qualify as “real prog” for many listeners. It does, however, reflect the direction my tastes have taken in the past few years, and I hope it will lead to new discoveries. Whenever possible, I have provided links to the artists’ Bandcamp pages, where my readers will be able to stream the albums (and hopefully also buy them). For the vast majority of the artists mentioned in this article, music is a labour of love rather than a day job. Though progressive music is alive and well in the second decade of the third millennium, and 2016 already looks very promising in terms of new releases, the scene – now more than ever – needs to be supported if we really want it to survive. While searching for a suitable title for my customary “year in review” essay, I thought of something that would convey the general mood of my 2014 while emphasizing the role that music had in helping me out of a bout of potentially severe depression. This is how I came out with this title (shared by a song from Rainbow’s iconic Rising album) and the image that goes with it. The first six months of the year were spent in a sort of daze, in which I tried to keep up with listening and reviewing new music, but was increasingly consumed by a job assignment that ultimately got me burned out. Over the summer months I gradually withdrew from social life, and lost most of my interest in music – to the point that, when ProgDay was approaching, I almost decided to bail out and stay home. The low number of posts on my blog bears witness to this sorry state of affairs – which was thankfully brought to an end by a very enjoyable ProgDay experience. Music, as usual, did help me out of a black hole, and so did the friendships I have made over the years thanks to this lifelong passion of mine. After such an introduction, it will not come as a surprise that many of this year’s highly regarded albums escaped my attention, and even those I did manage to hear did not impress as much as they would have in a different situation. This 2014 overview may therefore contain some glaring omissions, for which I apologize. Keeping track of the staggering number of new releases in the progressive realm is difficult under normal circumstances, and even harder when real life gets in the way. Although my full-length reviews have become a much rarer item, since February 2014 I have been regularly providing recommendations for an excellent new feature (the brainchild of DPRP longtime collaborator and editor Andy Read) by the name of Something for the Weekend?. Dedicated exclusively to progressive music available for free streaming on invaluable resources such as Progstreaming or Bandcamp, this weekly feature has allowed me to promote the work of many outstanding artists – as well as exploring a lot of exciting new music that might have otherwise flown under the radar. Going back to ProgArchives, the thriving website where I started my career as a reviewer back in 2005 (and also met my husband), after a four-year absence has also been very beneficial in terms of discovering new music and cultivating fulfilling relationships. The past year saw my personal tastes shift even further away from traditional prog, and wholeheartedly embrace the new incarnations of the genre. While this does not mean I have stopped enjoying classic prog, I recognize that, in the second decade of the 21st century, the genre needs to look forward rather than backward if it is to survive. Speaking of which, having resolutely moved underground is probably the best thing to happen to progressive rock in the past few years. In spite of the many difficulties they face, many progressive artists now produce music to please themselves first and foremost. Without having to obey the constraints of the “market”, artistic creativity can be given free rein, so that we can expect the next few years to be generous with high-quality releases. My personal “best of 2014” spans different subgenres of prog, with a pronounced emphasis on the eclectic and experimental side of things. Though often labeled as RIO/Avant, my album of the year – Ut Gret’s marvelous Ancestor’s Tale – is the best Canterbury album to be released in a long while (though the band hail from Louisville, Kentucky), and introduced the prog audience to the stunning vocal talents of songstress Cheyenne Mize. Incidentally, another two of my favourite 2014 albums came from bands that have occasionally been associated with the Canterbury sound – though. Like Ut Gret, neither hails from that part of the world. Moraine’s Groundswell, is their most mature work to date, showcasing the Seattle quintet’s unique brand of ethnic-tinged, contemporary jazz-rock. On the other hand Italian quartet Accordo dei Contrari’s comeback album, AdC , saw them explore heavier territories, though retaining the exquisite sense of melody that distinguishes Giovanni Parmeggiani’s compositional style. As a whole, 2014 was an uncommonly good year for eclectic releases that avoided the “old wine in new bottles” syndrome. Knifeworld’s sophomore release, The Unraveling, spearheaded this highly individual approach to the creation of progressive rock. Also appearing on Gong’s latest effort, I See You, Knifeworld mainman Kavus Torabi seems poised to replace Steven Wilson as the busiest man in prog, though with a much more genuinely innovative attitude. Torabi’s longtime collaborator and bandmate Emmett Elvin’s Bloody Marvels was true to its title, delivering a series of deeply cinematic, atmospheric pieces mostly performed on acoustic instruments, released on independent British label Bad Elephant Music – which in 2014 distinguished itself as one of the foremost purveyors of interesting progressive fare. Together with Elvin’s album, guitarist Matt Stevens’ Lucid and Trojan Horse’s “pronk” assault World Upside Down proved that the British isles have got more to offer than endless variations on the neo-prog gospel. As for Sound Mirror, the highly touted second album by “new Canterburians” Syd Arthur (their first for the revamped Harvest label), I only managed to get hold of it when I had already started writing this piece: my initial impression is positive, though the album is definitely in a more mainstream vein. One of the biggest surprises of the year, mentioned as a favourite by many prog fans, came from Norwegian outfit Seven Impale: their furiously sax-driven, full-length debut, City of the Sun, combines echoes of King Crimson and Van Der Graaf Generator with an endearingly zany sense of humour. Fellow Norwegians Major Parkinson’s “cabaret rock” opus Twilight Cinema also drew a lot of rave reviews, as did Swedes Pingvinorkestern’s heady melting pot Push. Spain’s ebullient Cheeto’s Magazine offered more Zappaesque, genre-bending goodness with their debut, Boiling Fowls, while French outfit PoiL’s Brossaklitt went beyond Magma and their offspring, with lyrics in an invented language set to an explosive mixture of punk, jazz and RIO/Avant. From the eastern reaches of Europe, Russian quartet Uphill Work’s third album, Missing Opportunities, struck a fine balance between the traditional song form and eccentric avant-garde. The sprawling US scene achieved its fair share of cliché-busting releases, such as Atomic Ape’s frenetic debut, Swarm (introducing a revamped lineup of Orange Tulip Conspiracy), or Jack O’The Clock’s mysterious Night Loops, a rather different album from last year’s folksy All My Friends. Bent Knee’s Shiny-Eyed Babies reinterprets art rock in thoroughly modern fashion -occasionally reminiscent of their fellow Bostonians Schooltree, though in a darker, more experimental vein. The Pacific Northwest scene produced the melancholy folk-prog of The Autumn Electric’s Flowers for Ambrosia (featuring Phideaux’s keyboardist Johnny Unicorn) as well as the furious “pronk” of Alex’s Hand’s The Roaches and Badwater Fire Company’s eponymous debut, the elegant eclecticism of The Mercury Tree’s Countenance, and the experimental jazz-rock of Fang Chia’s Where Would You That We Gather?. From New York City came the dirty funk of Tauk’s Collisions and the Zappa-inflected jazz-rock of Trout Cake’s EP Ultrasounds (recommended to fans of Frogg Café). Somewhat more appealing to prog traditionalists, Resistor’s To the Stars blends a lot of diverse influences (think Kansas, Iron Maiden and Jethro Tull jamming together with a very 21st-century attitude) for one of the year’s most intriguing “crossover” offerings, while Dream the Electric Sleep’s powerful second album Heretics treads in grunge/alternative territory. Minneapolis quartet Galactic Cowboy Orchestra also released a new album, Zombie Mouth, and at the end of August wowed the ProgDay crowd with their sparkling brand of “jazzgrass art-rock”. Instrumental progressive rock in its many forms continues to be a source of interest and delight. After 2013’s psychedelic opus, The Trip, Djam Karet celebrated their 30th anniversary with the über-laid-back Regenerator 3017, while their label Firepool Records brought to the prog audience’s attention the riveting self-titled debut by Spoke of Shadows, the latest project by Warr guitar wizard Mark Cook (of Herd of Instinct fame) in collaboration with renowned session drummer Bill Bachman. One of the year’s undisputed highlights, however, came once again from the cold climes of Sweden, with Necromonkey’s mesmerizing second album, A Glimpse of Possible Endings – complemented later in the year by a career-defining appearance at ProgDay. Alongside Moraine’s pristine album, the ever-reliable Moonjune Records provided at least another entry to my personal “best of 2014” list: Belgian songstress Susan Clynes’s delightful debut, Life Is… – a must-listen for fans of Kate Bush and Tori Amos, but also for lovers of contemporary jazz. Keeping up his efforts at promoting the Indonesian progressive jazz-rock scene, Leonardo Pavkovic also brought us the latest opuses from established guitar heroes Tohpati (Tribal Dance) and Dewa Budjana (Surya Namaskar), as well as rising star Tesla Manaf’s self-titled debut, and simakDialog’s Live at Orion (capturing a gig that I was lucky to attend). Another live album, The Third Set, came from Chicago whizz kids Marbin, one of the busiest bands on the planet; while the European scene gave us drummer Xavi Reija’s thunderous Resolution and the majestic modern jazz-rock tour de force of Machine Mass Trio’s Inti. Milan-based label AltrOck Productions kept its unflagging tradition of delivering high-class material to sophisticated prog listeners looking for distinctive musical experiences: besides the already-mentioned Ut Gret, Accordo dei Contrari and PoiL, the re-release of Geranium by Russian folksy RIO/Avant outfit Vezhlivyi Otkaz, the jazz-rock-meets-space-rock craziness of Wrupk Urei’s Kõik Saab Korda, the almost impenetrable, yet fascinating Avant of Factor Burzaco’s 3, enhanced by Carolina Restuccia’s vertiginous vocals. Indeed, 2014 was a great year for bands fronted by female vocalists. One of the most anticipated releases of the year was undoubtedly MoeTar’s scintillating Entropy of the Century, a quintessential modern art rock effort showcasing Moorea Dickason’s jaw-dropping vocal skills. Kate Bush fans certainly found a lot to love in Russian duo iamthemorning’s delicate, haunting Belighted. In a similar vein, the debut of Swedish band Nomads of Hope (including two former members of late Seventies band Kultivator), Breaking the Circles for a While, marries folk and medieval music with haunting trip-hop suggestions, while Finnish outfit Aalto’s Ikaro introduces elements of Tuvan throat singing and North Indian raga. Many accolades were also received by Homínido‘s debut Estirpe Litica, another highly eclectic effort featuring some former members of Chilean band La Desoorden. Plenty of interesting new releases came both from newcomers and seasoned protagonists of the thriving Italian scene: among the many worth mentioning, Fabio Zuffanti’s somberly ambitious La quarta vittima, Alex Carpani Band’s modern symphonic 4 Destinies, FEM’s lush concept Sulla bolla di sapone, Nodo Gordiano’s intricate Nous, Agora’s lovely slice of acoustic jazz-rock Ichinen, Greenwall’s melodic yet whimsical Zappa Zippa Zuppa Zeppa, the space-tinged classic RPI of Logos’ L’enigma della vita, Tacita Intesa’s dramatic, self-titled debut. On the other hand, Lagartija’s Amore di vinile and Marco Machera’s Dime Novels explored the successful union of prog and singer-songwriter music, while Periplo’s debut, Diario di un malessere passeggero, offered an intriguing slice of stylish chamber rock. Sadly, the Italian prog scene suffered an irreparable loss in February, when legendary Banco vocalist Francesco Di Giacomo was killed in a car crash. Even if I have grown away from classic symphonic prog, a few 2014 releases brought a breath of fresh air in a subgenre that can often sound stale. Kant Freud Kafka’s No Tengas Miedo brought to mind The Enid’s unique brand of majestic, classical-inspired prog, while Deluge Grander’s powerfully choral Heliotians – printed in only 205 hand-numbered, hand-painted LP copies –distilled the very essence of the modern DIY ethos. Those disappointed with Yes’ recent lackluster recording efforts found a lot of enjoyment in Heliopolis’ bright, feel-good debut, City of the Sun. Australia’s The Merlin Bird’s offered lovely female vocals and pastoral textures in their second album, Chapter and Verse, while Eccentric Orbit went for an all-out, ELP-style keyboard assault in Creation of the Humanoids. 2014 also brought some interesting solo projects, with the brilliant heavy fusion of Dean Watson’s Fantasizer!, the eclectic jazz-rock concept of Superfluous Motor’s Shipwrecked, the hauntingly intimist album by Bodies Floating Ashore (aka Matt Lebofsky of miRthkon/MoeTar/Secret Chiefs 3 fame), and Simon McKechnie’s brainy, Crimsonian tour de force, Newton’s Alchemy. Unfortunately, some of this year’s notable releases still remain unheard to this day: for instance, Univers Zéro’s Phosphorescent Dreams (released by an obscure Japanese label, and therefore very hard to find), Gong’s I See You, Secret Chiefs 3’s Ishraqiyun: Perichoresis, Kaukasus’ I, and all of Cuneiform Records’ 2014 output. Other high-profile albums have been discussed in detail by most prog websites, but will not be mentioned here for a number of reasons. I have also refrained from mentioning albums I did not particularly enjoy, because I find negativity ultimately pointless, and also because quite a few fellow music writers have already published comprehensive “year in review” pieces covering many of the albums that have not found a place here. No “year in review” piece would be complete without a mention of live performances. Even if my personal concert-going activity was very limited in comparison to previous years, 2014 was quite generous in terms of festivals and shows, with the continuing success of ROSfest, the return of Baja Prog (unfortunately suspended for 2015), the second editions of SeaProg and the NJ Proghouse Homecoming Weekend (both confirmed for 2015), ProgDay’s 20th edition, and the Orion Studios‘ marvelous 20th anniversary celebration – as well as the welcome addition of A Day of Prog Art Rock Showcase, organized by the New England Art Rock Society(NewEARS) in the Boston metropolitan area, and Chicago’s two-day Progtoberfest. My commitment to Something for the Weekend? provided the incentive to explore and actively look for new music to recommend to the feature’s steadily increasing number of readers (50,000 were reached a couple of weeks before the end of the year). What I jokingly call my “collection” of interesting new music bookmarks is also steadily growing. Bandcamp, in particular, is like an underground treasure trove that more and more artists are using to give exposure to their music, embracing a model that rules out any kind of financial gain, but thrives on positive feedback and direct communication with fans. Actively seeking out challenging new music, and making a point of listening to at least one album a day (preferably early in the morning, before I start getting ready to go to work) has become a pleasant routine that has helped me to keep in touch with the scene. Since many of the albums mentioned in this essay are available for streaming, I hope this lengthy feature will encourage at least some of my readers to click on the hyperlinks and listen to those artists, and perhaps invest a few dollars (or any other currency) to buy a CD or two. As much as I enjoy the classics, I firmly believe that the future of progressive music lies with these people, whose dedication to music often means struggling with less than favourable circumstances, including the lack of support on the part of their intended audience. This essay is dedicated to them, with my most heartfelt thanks for the gift of music and its positive effect on my life. A couple of years ago, Bay Area quintet MoeTar first took the somewhat jaded progressive rock world by surprise with their debut album, From These Small Seeds – released in 2010, but reissued by Magna Carta in 2012. A perfect example of modern art-rock, the album offered a scintillating blend of super-catchy hooks and sinuous complexity – all crammed into 4-5-minute songs driven by Moorea Dickason’s jaw-dropping vocal prowess. 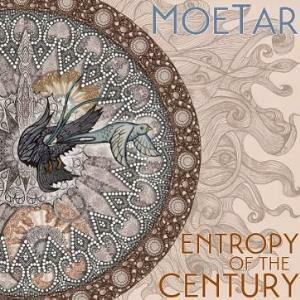 Four years later, and following a successful crowdfunding campaign, MoeTar are back with their sophomore effort, Entropy of the Century. A second album is always a tricky proposition, and even more so when a band’s debut has attracted as much attention as From These Small Seeds. MoeTar’s lively concert activity (which included a short but very successful East Coast foray in the summer of 2012, and a slot at the 2013 edition of ROSfest) has made many prog fans aware of the band’s highly individual take on the old prog warhorse. The success of their Kickstarter campaign (and the invitation to perform at the third edition of the NJ Proghouse Homecoming Weekend in October 2015) is proof enough of the positive impression they have left in the past couple of years. So, does Entropy of the Century live up to expectations? The answer is a qualified yes. In terms of visual presentation, the album comes with a stunning cover by bassist and main songwriter Tarik Ragab, whose apparently drab shades of beige and grey complement the intricate mandala-like design. The artwork’s baroque feel is amply reflected in the music’s sophisticated arrangements, built around Moorea Dickason’s vertiginous vocals, but tightly executed by the other band members (augmented by talented keyboardist Jonathan Herrera). Keyboardist Matt Lebofsky’s tenure with cutting-edge bands such as Secret Chiefs 3 and miRthkon is reflected in the album’s subtle but recognizable forays into Avant territory. Compared to its predecessor, Entropy of the Century is clearly more ambitious, and its impact consequently not as immediate. Ragab’s trademark “brainy” lyrics (based around an elaborate concept illustrated on the band’s website, and delivered by Moorea with remarkable aplomb, though most other singers would be daunted by their density) with their correspondingly esoteric titles provide an oddly fitting centerpiece for the busy musical accompaniment – so busy as to sometimes leave the listener craving a little space. The unmistakable Avant influence sneaks into the grandiose, melodic fabric of the songs, unexpected bits of keyboard-led dissonance creating a mesmerizing, head-spinning effect redolent of circus music. The influence of Broadway musicals – as well as art-rock icons Queen – emerges in the central part of the album, with the theatrical sweep of “Welcome to the Solar Flares” (in contrast with its muted, melodic beginning), the jauntily energetic pace of “Friday Night Dreams” (a showcase for Heulitt and Lebofsky’s two-pronged action), and the triumphant, then soothing “Letting Go of Life” – which soon shifts into Avant-tinged atmospherics with its superb instrumental coda (proving that MoeTar are much more than just a backing band for Moorea’s magnificent pipes). Similarly, with “We Machines”, the skewedly memorable melody of the chorus coexists with an exhilarating jazzy coda, spotlighting David M. Flores’ extravagant drumming and Heulitt’s chiming guitar, and, once again, revealing the album’s ambitiousness in these details. The final part of the album is introduced by the subdued torch-song of the piano-laced “Benefits”, the only song on the album written by Matt Lebofsky. Things pick up again with the vocal bravura piece of “Raze the Maze”, peppered by weird electronics, and the dramatic, circusy tune of “Confectioner’s Curse”. Darker and heavier, “Where the Truth Lies” sounds like Queen with an Avant flavour, once again showcasing Heulitt’s remarkable mastery of the six strings; while closer “The Unknowable” (at over 6 minutes the longest track on the album) starts out in a subdued mood, deceptively restful after the intensity of the previous song – then gains momentum and drama, wrapping things up with a majestic instrumental coda. Albeit lacking its predecessor’s easy accessibility, Entropy of the Century captures the growing self-confidence of an immensely talented outfit. Though you may not be able to sing along to some of the songs as it was the case with From These Small Seeds, the great songwriting, effortless instrumental brilliance, and – most of all – Moorea’s astounding vocal performance are more than enough to make this album one of the highlights of 2014 for fans of non-mainstream music. As I often say in my reviews, this may not be your parents’ prog, but it certainly represents what is exciting and vital about the genre in this second decade of the 21st century. 2013 was another very busy year for guitarist/composer (and AltrOck Productions co-founder) Francesco Zago. In the summer, his new “vintage prog” band Not A Good Sign made its recording and concert debut, and a few months later he appeared on In Between, the new album by his long-time associate Markus Stauss’ outfit Spaltklang – to which should be added his participation in original RIO band Stormy Six’s live CD/DVD Benvenuti nel Ghetto. However, it is with the Empty Days project that Zago offers his most distinctive contribution to the rich musical landscape of the recently ended year. Featuring some of his Yugen cohorts (the ubiquitous Paolo “Ske” Botta, Jacopo Costa, Maurizio Fasoli and Giuseppe Olivini), plus Milan-based sound/noise artist Pat Moonchy and US-based vocalist Elaine Di Falco (of Thinking Plague/3 Mice fame, who had also guested on Yugen’s 2010 album Iridule), Empty Days was not conceived as a studio-only project: the release of their eponymous album in September 2013 was accompanied by a few live appearances in Italy and Switzerland, as well as at Wurzburg’s Freakshow Festival in Germany. Clocking in at about 50 minutes, Empty Days includes 7 songs and 7 instrumentals, all relatively short, which represent the two main directions of Zago’s current musical interests: art-rock songs with brooding lyrics and ethereal melodies, and darkly rarefied ambient compositions, arranged in a neatly alternating pattern. Unlike Yugen’s intricate, carefully composed pieces, the tracks are more like impressionistic sketches created through a shimmering sonic palette in delicate patterns of light and shade. 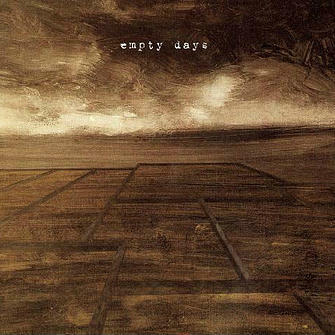 Interestingly, Empty Days’ outstanding artwork, with its muted sepia shades and austere layout, for once is not credited to AltrOck’s in-house graphic artist Paolo “Ske” Botta. While the cover image was provided by renowned contemporary artist Salvatore Garau (who is also Stormy Six’s drummer), the booklet is credited to Zago himself, proving the versatility of his artistic inspiration. Elaine Di Falco’s performance is one of the undisputed strengths of Empty Days. Here she shows a different side of her art than on Thinking Plague’s 2012 album, Decline and Fall – where the music’s mind-boggling complexity forced her voice into an apparently flat, yet oddly riveting timbre. Here, her dusky contralto displays more curves than angles, lending a hauntingly soft quality to Zago’s wistful vignettes, and providing the ideal vehicle for the pensive, often rather gloomy lyrics. 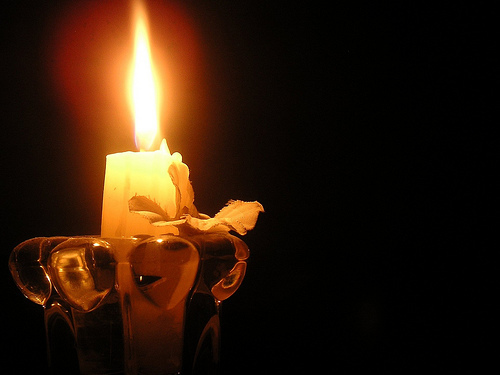 Only one of the songs, the well-known “Flow My Tears” by English Renaissance composer John Dowland, is interpreted by a different singer – mezzo soprano Rachel O’Brien, whose classically trained voice adds to the piece’s mournful feel. Di Falco’s multitracked vocals, complemented by Fasoli’s rippling piano and Costa’s gently chiming vibraphone in opener “Two Views on Flight”, weaves a magical, dreamlike atmosphere reminiscent of Dead Can Dance or Kate Bush (or even Gentle Giant), while the somber drone of the cello fits her like a glove in the delicate “Words Lurking”, echoed by Zago’s subtle guitar. “Coming Back Home” revisits one of the songs featured on Not A Good Sign’s debut in understated yet markedly atmospheric fashion, enhanced by mellotron surges and ethereal guitar arpeggios. On the other hand, “In Darkness Let Me Dwell” (another Dowland composition) and “A Dark Vanessa” (from Vladimir Nabokov’s novel Pale Fire) hinge on Di Falco’s deep, almost whispered vocals and minimalist instrumentation to create a mysterious, faintly unsettling mood. The album’s centerpiece, however, is the arrestingly beautiful “Running Water” (with lyrics by Nobel Prize winner Seamus Heaney), whose title is evoked by Fasoli’s flowing piano and DiFalco’s compelling voice, almost chasing each other in a hypnotic movement. Ranging from the almost 6 minutes of “Kurai” to the barely over one minute of the piano interlude of“A Knife Under the Pillow”, the instrumentals, explore the instruments’ potential to build up cinematic ambient soundscapes that veer from the soothing, Japanese-inspired “The Ghosts of Dawn”, with its rarefied, crystalline sound effects, to the strident, menacing “Ananke” and “Waiting for the Crash”. The longest track on the album at almost 6 minutes, “Kurai”, with its sparse, ominous texture, slashed by sudden cascading chimes and eerily reverberating sounds, aptly reflects its title (Japanese for “dark”, and also the name of another of Zago’s projects, whose album was released in 2009). The 5-minute “Ankoku” is a spacey, faintly discordant piece anchored by Bianca Fervidi’s cello’s muted drone; while in closing track “This Night Wounds Time” piano and mellotron surge in unison, echoing between pauses of near-silence. The name OTEME – an almost-acronym for Osservatorio delle Terre Emerse (Observatory of Dry Lands) – will in all likelihood not ring familiar to most progressive rock fans, even though the ensemble’s founder, Stefano Giannotti, has had a long and distinguished career in the field of contemporary music. Hailing from the beautiful medieval city of Lucca in Italy’s Tuscany, Giannotti has been writing and performing music for over 30 years, and his work – which encompasses songs, orchestral scores, chamber music, radio and video art, and much more – has received numerous international awards, especially in Germany. OTEME is one of his most recent projects, begun in 2010, though the compositions were developed over a period of about 21 years. 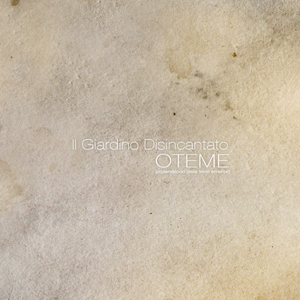 The ensemble’s debut album, Il giardino disincantato (The Disenchanted Garden), was recorded in 2011, and finally released in 2013 by independent French label Edd Strapontins (internationally distributed by Ma.ra.cash Records). Il giardino disincantato’s lavish, lovingly assembled packaging goes to show that fortunately not everyone subscribes to the theory of the visual aspect of music-making (embodied, in this case, by the “physical” CD) being on its way out. With his extensive artistic background (which includes videomaking), Giannotti obviously still believes in the partnership of music and visuals. The 27-page booklet features gorgeous photography that juxtaposes nature and everyday objects (such as the vintage saucepan that represents the “dry lands” in the ensemble’s name, in a modern take on the classic still life), as well as detailed notes and all the lyrics in both Italian and English. The understated elegance of the package, blending minimalism and an appealing “shabby chic” feel, will whet the listener’s appetite, hinting at the nature of the musical content while avoiding sensory overload. Right from the very first notes of Il giardino disincantato, Stefano Giannotti’s mastery of a wide range of expressive modes becomes evident. Though he is credited as the sole writer, the album is very much a group effort. The richly variegated instrumentation merges traditional rock and classical/chamber music staples with rare instruments such as the componium (a programmable music box) and the teponatzli, an Aztec wooden drum. However, Giannotti’s understated yet well-modulated voice works much as an additional instrument, assisted by the ethereal backing vocals contributed by some (mostly female) band members. His interpretation of the beautiful lyrics – fusing literate references with an everyday, matter-of fact tone, and making full use of the many distinctive features of the Italian language – is riveting in its simplicity, far removed from the theatrics to which many prog and avant-garde singers are prone. While listening to the album, I was occasionally reminded of Franco Battiato’s effortless mix of the popular and the highbrow. Though not a concept album, Il giardino disincantato should be heard as a whole rather than by picking and choosing songs in the manner of the iPod generation. In fact, even if the various tracks date back from different times, they work seamlessly rather than coming across as a disparate collection of items. The intriguing minimalism of opener “Mattino” – in which Giannotti’s voice is accompanied by renowned French musician Thomas Bloch’s eerie glass harmonica – immediately catches the attention and prepares the listener for what is to come. Out of the album’s four instrumentals, “Caduta massi” and the title-track decidedly veer into RIO/Avant territory – the former’s angular, expressive texture interspersed by gentler moments with an appealing Canterbury tinge, the latter taking an almost free-jazz direction with its buoyant, blaring horns – while the haunting “Tema dei campi” evokes reminiscences of Oriental music and the rarefied “Terre emerse (Bolero Primo)” evidences a clear modern classical matrix. On the other hand, the songs draw upon Italy’s rich singer-songwriter tradition, painting charmingly surrealistic images through Giannotti’s cultivated vocal delivery and a discreet yet unmistakable instrumental presence: the delightfully lilting “Dal recinto”, the delicately wistful “Palude del diavolo” and the wry “Dite a mia moglie”, where the voice is punctuated by English horn. “Per mano conduco Matilde” is a mesmerizing, minimalistic sound sculpture in which the intersecting five voices are complemented by the componium’s eerie tinkling. The 9-minute “Sopra tutto e tutti”, however, is the album’s highlight, bringing all the main components together in an easily flowing, irresistibly melodic song that subtly introduces elements of prog’s trademark intricacy through the seamless interplay of piano and woodwinds. Even though Il giardino disincantato may have flown under the radar of most prog fans, especially those dwelling outside Europe, anyone who is keen to explore new challenging music should make an effort to get this album – in particular, those who in 2013 appreciated the likes of Five-Storey Ensemble’s Not That City and Francesco Zago’s project Empty Days. The excellent English translations in the booklet allow non-Italian speakers an insight into Giannotti’s thought-provoking lyrics, helping them to gain an even deeper appreciation for the essential synergy between words and music. A true gem (for the discovery of which I cannot thank my fellow writer Donato Zoppo enough) and one of the standout albums of 2013, Il giardino disincantato will be a treat for all discerning music lovers.